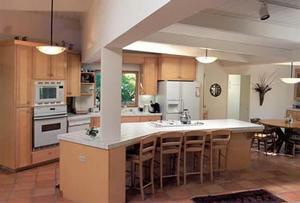 This 1960’s “modern” was remodeled to create a light and airy kitchen and great room. 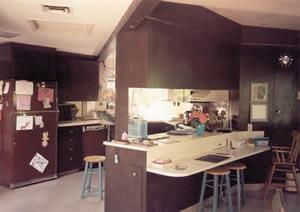 An old utility room was opened up to provide space for a breakfast nook adjacent to the kitchen. 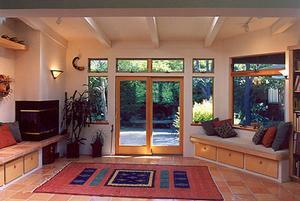 The photo at the bottom of the page was a screened porch, which was transformed into a cozy reading nook.